"Message of the President of the United States and accompanying documen"
Annual Message to Congress with Documents; Pres. Johnson. 3 Dec. HED 1, 40-2, vl-4, 4542p. [ 1322-1327] On the Indian Peace Commission sent to treat with Plains Indians in order to avert a possible war which would delay construction of the strategic Pacific railroad; annual report of the Sec. of War (Serials 1324-1325); annual report of the Sec. 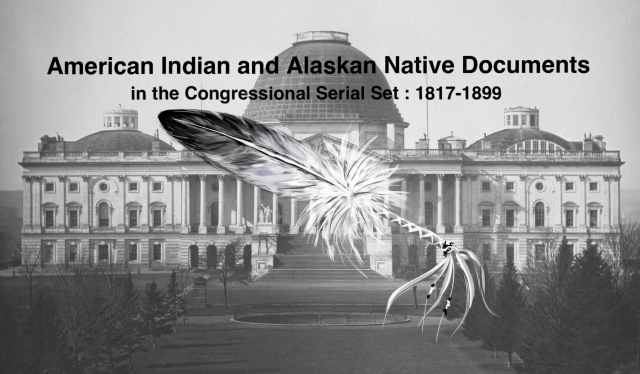 of Interior (Serial1326); annual report of the Gen . Land Office (Serial 1326); annual report of the CIA (Serial 1326), including the Peace Commission, Indian hostilities, trust funds and lands, census, and reports of Supts., agents, schools, and farms; etc.